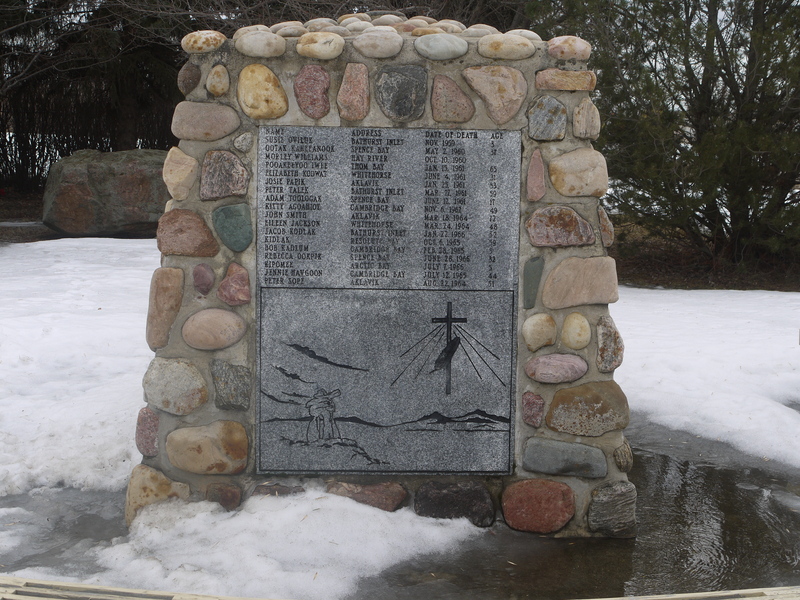 This is the cairn in the Aboriginal Cemetery in St. Albert, on what used to be a corner of the property belonging to the Edmonton Residential School. 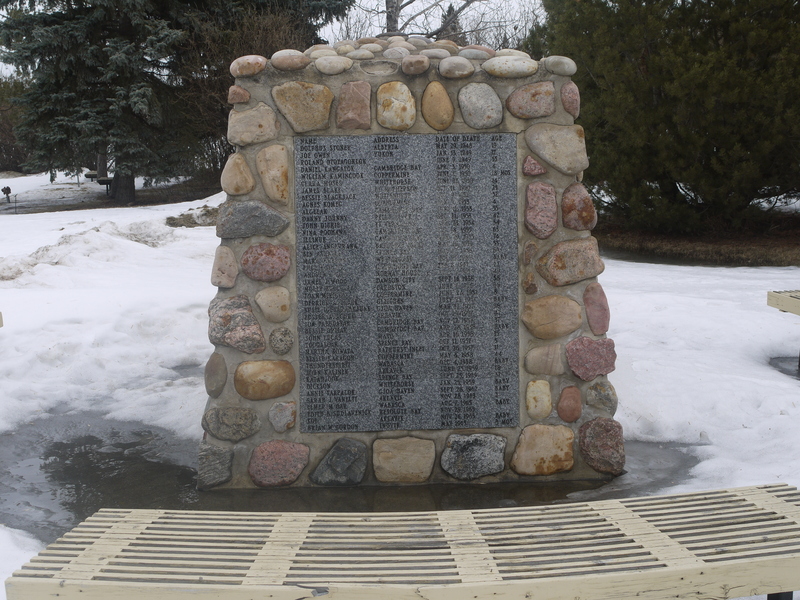 It has four sides, covered with the names of the indigenous people who were buried in this plot of land between 1946 and 1966. There are 98 names. It’s not just names, though. For each of the 98 entries, there is the place of origin of the individual, with towns and cities and settlements listed from across the northern edges of the prairie provinces and North of 60. Aklavik, Cambridge Bay, Whitehorse, Hay River, Dawson City, Coppermine, Gjoa Haven, and others. There are also the dates they died on and the age they were when they died. Some were newborns. Some were children. There were teenagers, adults in the prime of their lives, and a few in their seventies. 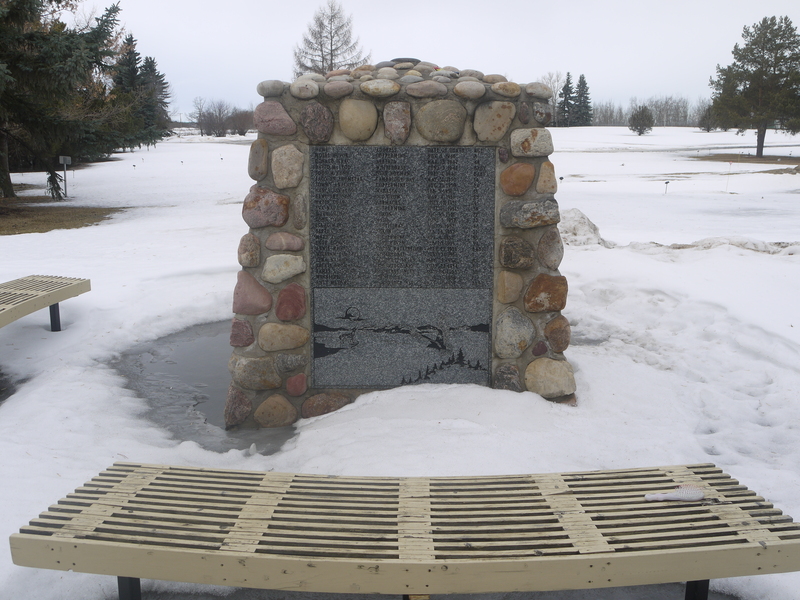 What they had in common were three things: the Camsell; the fact they were indigenous; and that their final resting place was this piece of land in St. Albert, often thousands of kilometers away from their homes and families. Staring at these 98 names, the questions were clear – if not the answers. How did they come to be here? How did they die? my father died at the Charles Campsell Hospital when i was only two years old. My (older than me) sister has been to his gravesite. I have yet to visit him someday. I have no recollection of him. I am now 57 so I think it would only right for me to go and see him so I can move on. where do I find this marker, as 2 summers ago I was in st albert looking for this and could not find it. 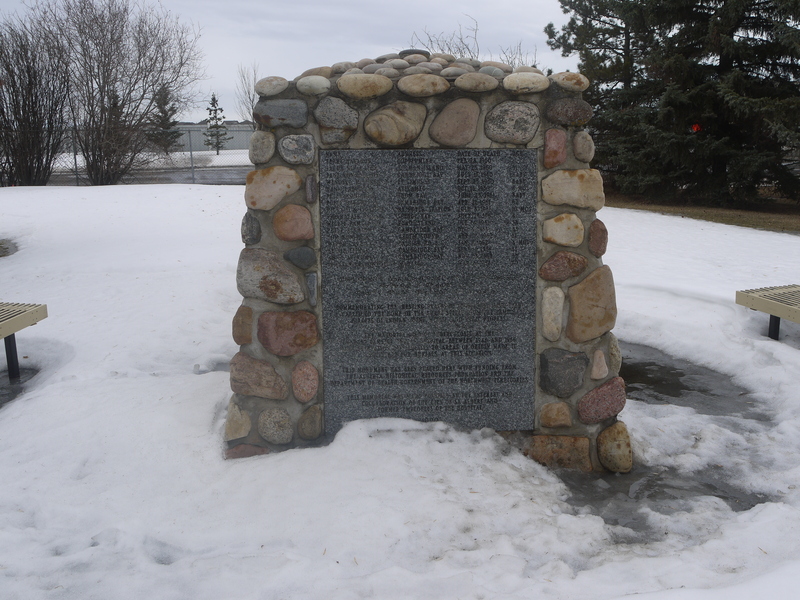 Hi Mary Ann, the marker/cairn is in the St. Albert Municipal Cemetery just outside St. Albert City limits in Sturgeon County. If you look at the post on this site called The Aboriginal Cemetery, there’s a small schematic map showing the rough location. If you’re looking on Google Maps or in your GPS, put in Poundmaker’s Lodge or Poundmaker Road to zero in on it. Hope that helps! My dad’s brother, our great grandfather and one of our cousins is at this gravesite. As well as many other relatives from Bathurst Inlet and Cambridge Bay. Yes the Cemetary is hard to find – we went to a gas station to find out where the right street was and also called one of our relatives in Cambridge Bay from that gas station. When you arrive to St. Albert I think you are on Churchill Road. From Churchill Road find #1 Poundmaker’s Road. It is a long way down Poundmaker’s Road to get to the Lodge then you drive along to find the gravesite. It is a very beautiful place. But we couldn’t find exactly where our relatives were laid to rest. So maybe one day that will be our next step. Anna – it is tough to find! It sounds like you have a lot of ties to this place. I’m sorry to hear that you lost so many relatives in this way, away from home, and probably far too soon in some cases. Once all the snow is gone I hope to go back and see if there are any signs of where individual bodies were laid to rest, but my understanding is they could only figure out general areas. I’ll be writing about this some more in the coming days. My grampa David Etdajuk was sent to charles camsell hospital for TB & he didnt return home. We were trying to find out where he might be buried? Hi Leah, thanks so much for your message and I’m very sorry for your loss. Did you check out “The Names on the Cairn” post from yesterday to see if he’s listed on there? I ask you to look because you might recognize a differently spelled name, place, time or age that will click for you. If he’s not on there, I may have some other suggestions to follow up. Did you find it? If so he only has one sibling left. Elizabeth Freeman.Place Coupe BC. Be nice to come see it.